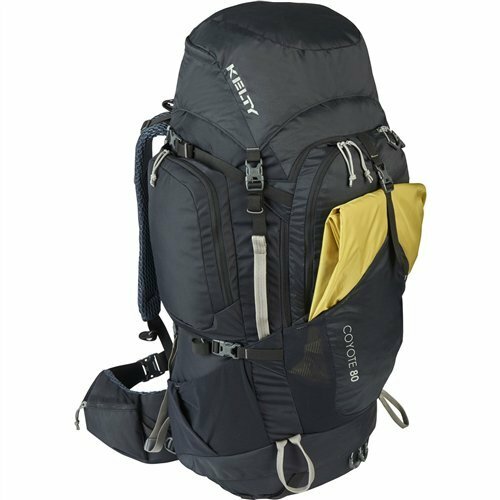 Much like its wily namesake, the Kelty Coyote Backpack likes to venture vast distances through unforgiving terrain, whether it be desert or mountains. Designed to help you comfortably haul a week's worth of gear down the trail, the Coyote gets the job done when you have a lot of miles to cover. While the Coyote shares most of the same features as Kelty's Redcloud pack, it sets itself apart with a new sleeping bag compartment so you can manage space more effectively. Like the Redcloud, the Coyote starts with the PerfectFIT suspension system. This suspension system offers on-body adjustment to accommodate all body types and eliminate the need for super-specific measurements, not to mention it allows you to carry heavy loads mile-after-mile in comfort. Adding extra support are dual Lightbeam aluminum stays and an HDPE framesheet. 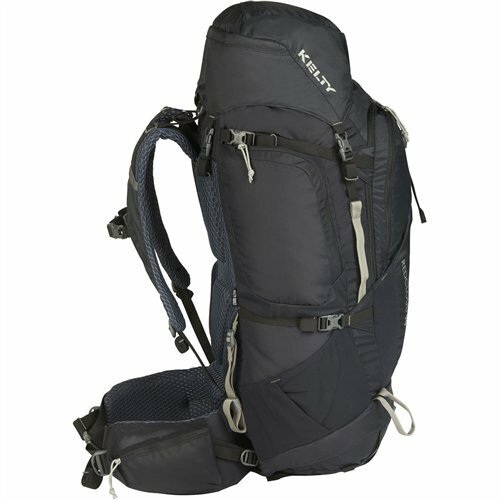 Hex mesh shoulder straps, an HDPE-reinforced waistbelt, and lumbar support aid in stability when crossing uneven terrain. The Coyote features a traditional top lid access, with an additional front panel access so you can layer up or down on the trail with ease. 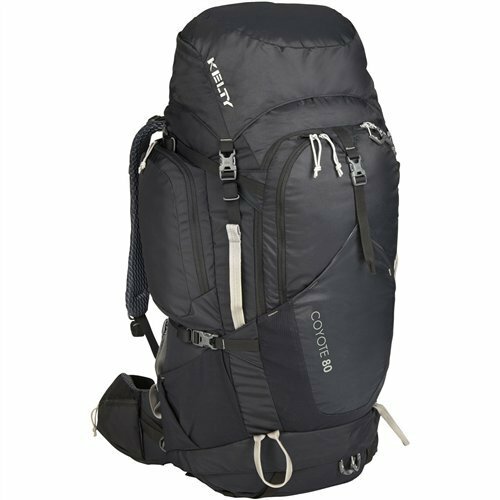 The top lid converts to a detachable sling pack for smaller side journeys launched from base camp. 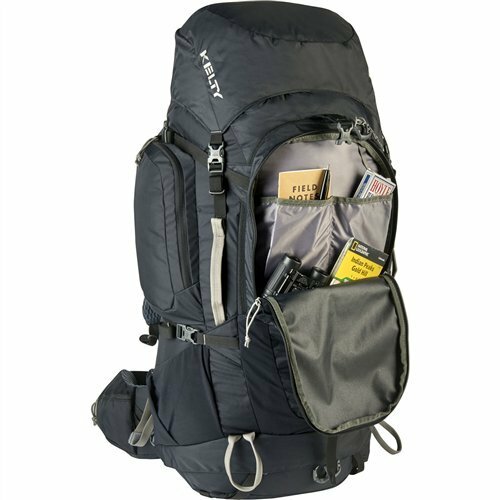 Kelty integrated a zippered pocket at the top lid for electronics, zippered side pockets for snacks, a large front pocket with organization for books and layers, and a pocket at the waist belt for energy gels. 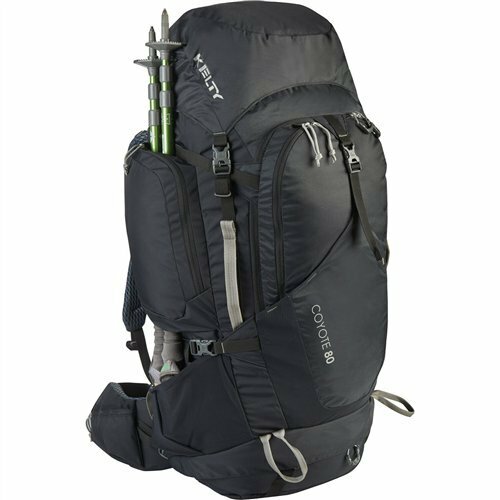 This backpack also features straps to lift loads, stabilize the waist belt, secure the shoulder straps at your sternum, and compress smaller loads for a secure hike.